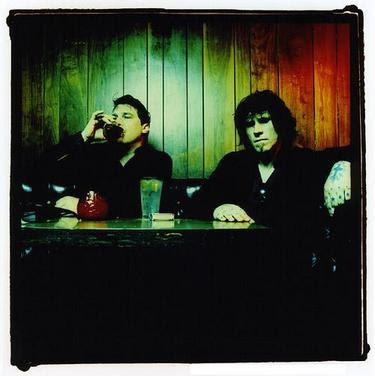 space Mark Lanegan and Greg Dulli are The Gutter Twins and if you listened to alternative rock in the 90's chances are you are familiar with one or both of their previous bands. Mark Lanegan was the singer for the underrated grunge band The Screaming Trees while Greg Dulli was the front man for The Afghan Whigs, who are one of my personal favorites. Since then both have been involved in some of the best music of their careers with Mark's solo albums and side work with Queens of the Stone Age and Greg leading The Twilight Singers. The pair's long anticipated album, Saturnalia, comes out this Tuesday on Sub Pop. Both singers are able to carry an entire album on their own so it should be great to hear what they do together. Luckily you can head over to their Myspace page and stream the entire album.